On the eve of his induction into the National Baseball Hall of Fame, Atlanta Braves legend Chipper Jones and a local Georgia brewery have launched a new beer collaboration. 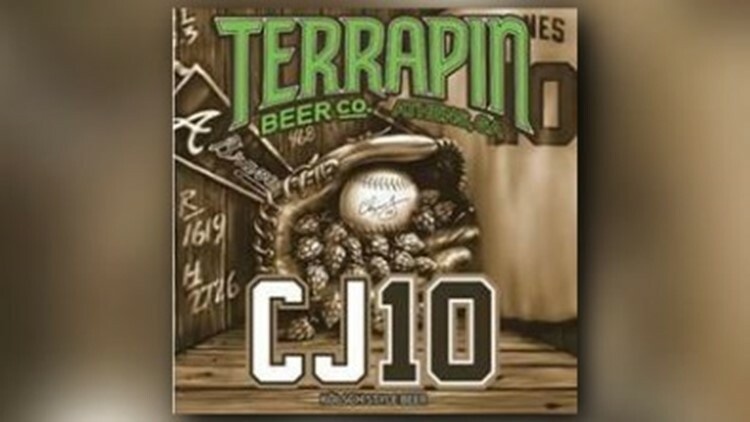 Called CJ10, the Kölsch-style beer is brewed at SunTrust Park at the Terrapin Beer Co. taproom and ATL Brew Lab. Jones collaborated with Terrapin brewmaster Brian “Spike” Buckowski. The beer's logo references Jones' career stats which will be enshrined at Cooperstown, NY. While only on draft now, commemorative six-packs will be released in Georgia in late August. Hall of Fame weekend at the Baseball Hall of Fame is July 27-30. Jones is being inducted into the hall along with Jack Morris, Alan Trammell, Vladimir Guerrero, Trevor Hoffman and Jim Thome.